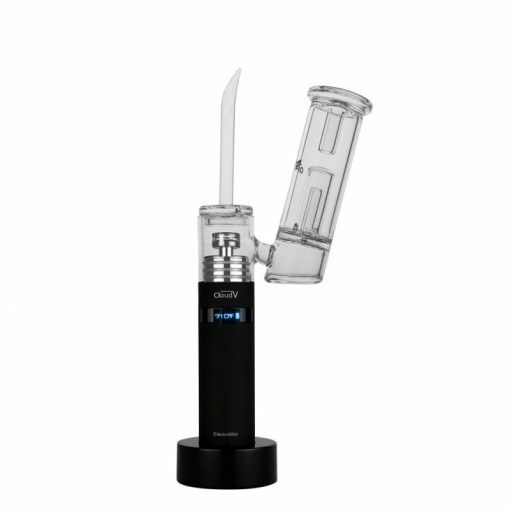 Introducing the CloudV ElectroMini Temperature Controlled Portable E-nail! The smallest and the most powerful portable e-nail has arrived. 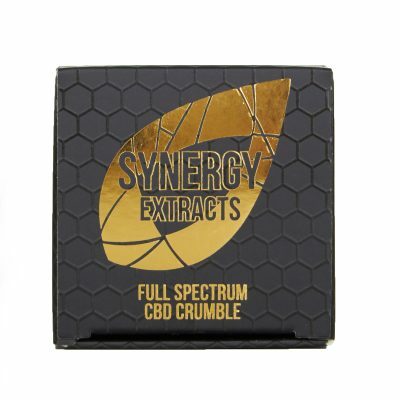 This perfected design has been finely tuned to deliver dabs quickly, safely and on-the-go! It features a fully temperature controlled system that allows you to choose your desired temperature from 550°F to 1000°F. You can easily adjust it using the responsive button which also serves as a digital display. Speedy heating up nails and powerful battery are all you need to enjoy the vaporization of our concentrates confidently anywhere! 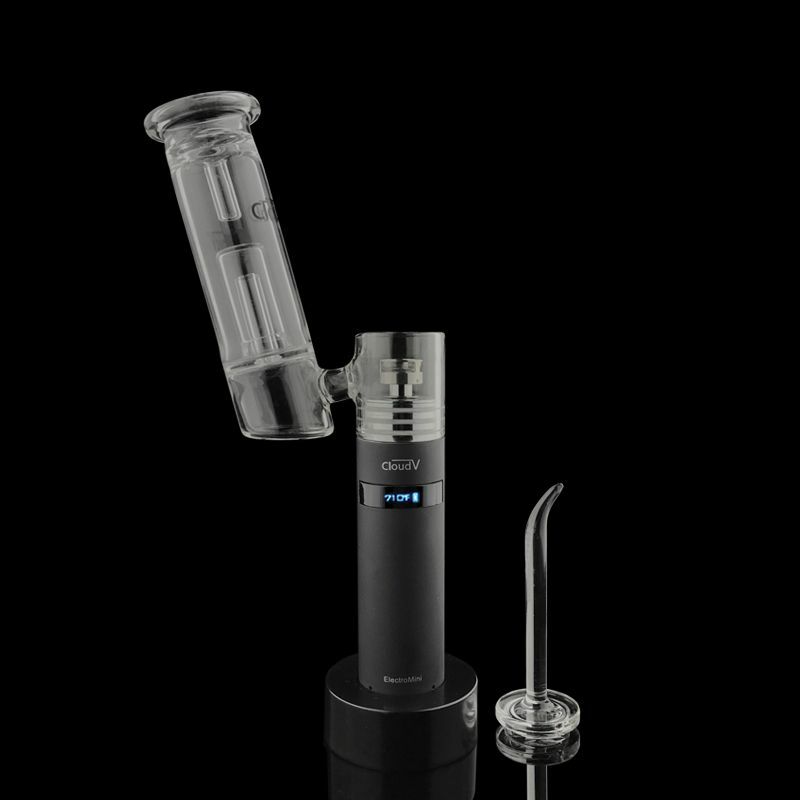 The ElectroMini has a 1.3″ diameter and a 9″ height. 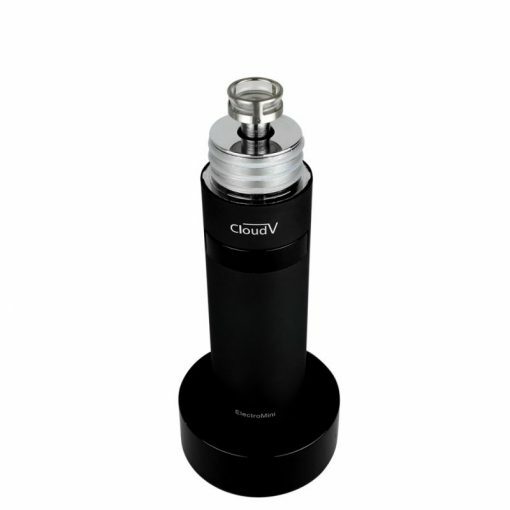 It has 3300mAh rechargeable battery capacity and quartz/titanium dish nails. You can easily adjust the temperature from 550°F to 1000°F on your battery. 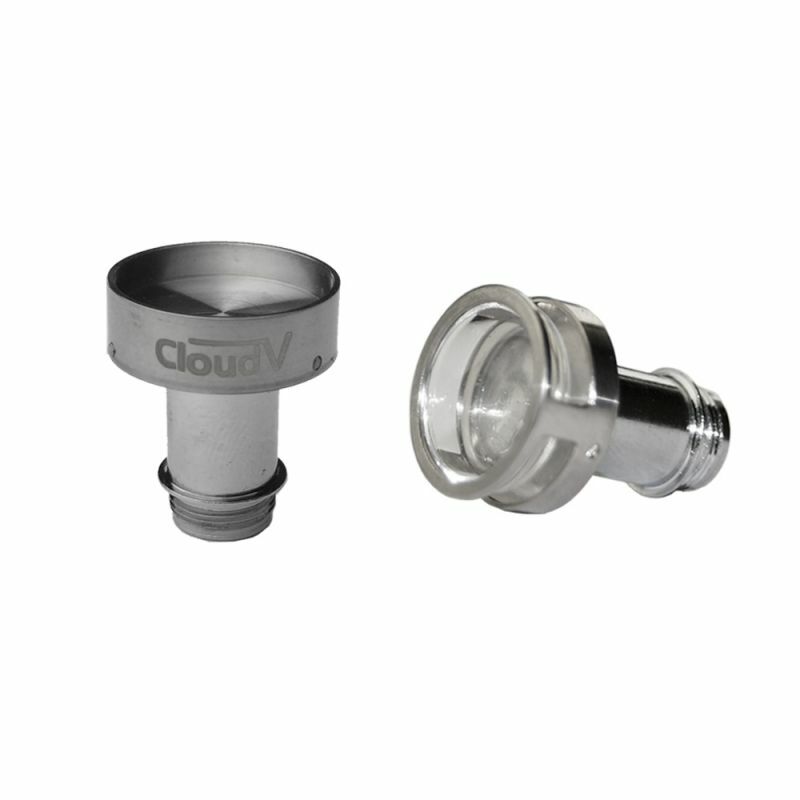 How does the CloudV ElectroMini work? How do you maintain the CloudV ElectroMini? Cleaning is required to maintain the CloudV ElectroMini and make sure the performance is optimized for longer period of time. Before cleaning your Cloud, make sure it has not been used for at least 15 minutes. Remove the Aqua Bubbler carefully with twisting motion as the glass could be tightly attached to the metal base after multiple use. 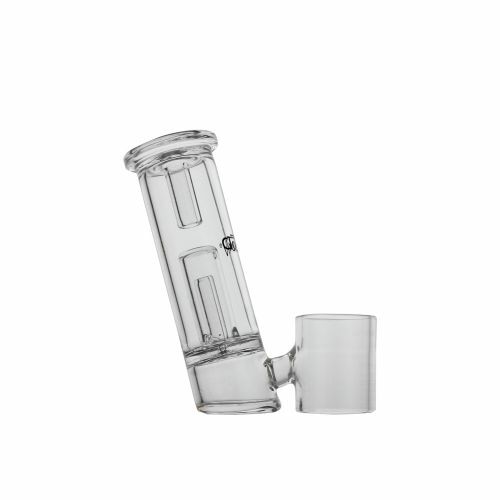 Using glass cleaner and rubbing alcohol, thoroughly clean the bubbler to remove any residues. Before getting in contact with the nail, make sure the device is not activated and the nail is not hot for at least 15 minutes. Using a protective glove, unscrew the nail from the base. Using rubbing alcohol, wipe the nail dish. For the best performance, it is recommended to replace the nails every 2-3 months. Use cleaning wipes to clean the metal base on the top of the battery. Remove any sticky residues from the base. Placing the aqua bubbler will be much easier when the unit is thoroughly wiped. Do not insert anything into the opening of the device. 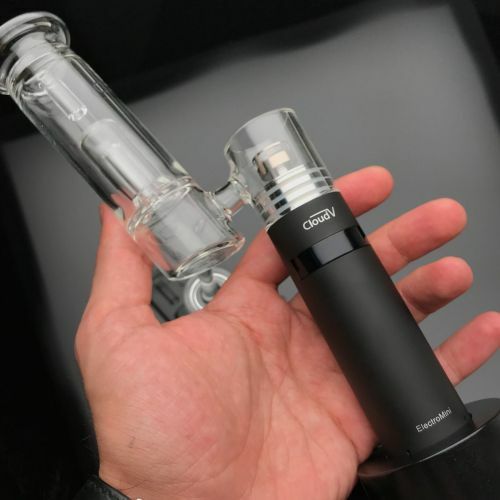 If you are not going to use CloudV ElectroMini for extended period of time, you need to charge the battery every 2-3 weeks to sustain the life of the battery. You can charge the battery using the charging base or by connecting the charging cable directly to the bottom of the battery. Keep the CloudV Tool clean at all times. Using cleaning wipes before and after each load. 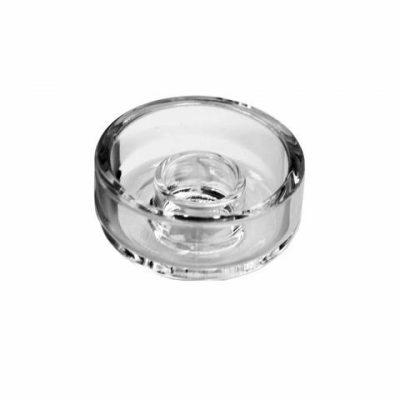 Cover with the lid to prevent the tip to get in contact with surrounding environment. Note: If any parts are damaged, contact customer service. Do not disassemble the device. Cloud V Enterprises warrants CloudV ElectroMini battery against defects in material and workmanship under normal use for a period of 1 year from the date of retail purchase by the original end-user/purchaser. If physical defect arises and a claim is received within the warranty period, it is the responsibility of Cloud V to either repair the product defect or exchange the product with a product that is new or is fully functional. When not in use, you should store your device in a safe place to avoid accidental activation. You should not leave your charger plugged in or unattended in a hot area or near flammable objects as this could be a fire hazard. You should keep your Cloud ElectroMini away from water or any other liquid and away from any environment involving strong acids, alkaline or combustible material. Please keep this out of reach of children and pets. It is intended for persons over the age of 18.